Whereas some media server software provides internet media, others host local content. But often there's a degree of crossover. While one multi-device streaming program may best fit your needs, you may consider multiple software options in conjunction. In this Media server apps list, let us look at the 10 most well known apps that can serve your stored media and stream internet media to various devices around the house, including your smartphones. Additionally, We'll discuss who should use each. A sort of DIY Netflix. Who should use Plex: Users who seek a media server that's simple, intuitive, and boasts extreme compatibility. An excellent open-source media center option. If you value customization, Kodi is a great media server streaming option. 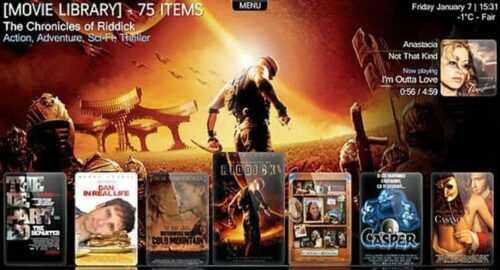 You can download loads of skins and addons for movies, TV, kids content, Kodi maintenance, and more. Who should use Kodi: Anyone looking for a robust media center with a superb user interface. Think of Kodi as an open-source DIY Roku as video content is mostly app-hosted or local files. Media center interface on Emby. Emby is akin to Plex. This open-source media server software even features a similar UI to Plex. However, Emby differs quite a bit. Where Emby is open-source, Plex is closed-source. It's avalialbe on an array of devices and like Plex requires a dedicated server. There's some app support as well. Like Plex, Emby features plugins which include Vimeo for Emby and an IPTV plugin for Emby. Furthermore, you can install an Emby addon for Kodi. Emby lacks the device compatibility offered by Plex. Still, it's available on the Amazon Fire TV, Apple TV, Chromecast, Raspberry Pi, and even game consoles like the PlayStation 4 and Xbox One. However, you'll need to install using less beginner-friendly methods. On the PlayStation 3 and 4 you'll have to use an in-browser installation means. Unlike Plex, it's not available in the app store. On the server side, Emby is available on platforms including Windows and Ubuntu server. Who should use Emby: Users who want a dedicated media server and value customization. More advanced HTPC enthusiasts should for opt for Emby while Plex is suitable for novices. Try MediaPortal as a great media center alternative. Who should use MediaPortal: If you want a media server software center that's focused on local playback, in-home streaming, and live TV and PVR, MediaPortal is a great pick. An excellent personal media server. Subsonic is another media server software entry. While Emby and Plex concentrate on video, Subsonic is more music focused. But like other media server software, Subsonic is compatible with video. Yet, a quick glance at the Subsonic features page proves it as a music first media streamer. Notably, Subsonic sports cover art, ID3 tagging, and playlist creation options. As for formats, Subsonic boasts wide format compatibility including lossless files like FLAC. A transcoding engine allows you to convert on-the-fly to mp3. It's available on several operating systems including Ubuntu. 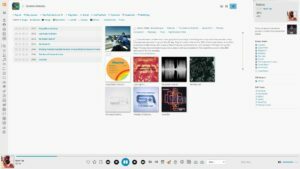 Who should use Subsonic: Anyone with a large music collection in a variety of formats who wants solid media server software. Users seeking a music first media streamer. Younity offers a complete media server software solution. Whereas the likes of Plex, Subsonic, and Emby primarily focus on media, Younity adds on documents and photos. While Plex does include photo uploads and viewing, Younity is far more comprehensive. Younity scans your files and folders, automatically sorting videos, files, photos, and music. But there's a search function allows you to find anything your server harddrive. Who should use Younity: If you're looking for versatile media server software that allows access to almost any file, pick Younity. A superb music-centric media server. Try Madsonic if you're looking for arguably the best music streamer. This bit of media server software is a web-based media streamer that boasts jukebox functions. Madsonic is compatible with loads of platforms like Windows, macOS, and Linux. It's pretty intuitive, and also highly scalable. You can manage over 100,000 files in your music collection. Further, it's open-source and benefits from a dedicated community. Like Subsonic, Madsonic also includes video and photo capabilities. As the name suggests, Madsonic is fork of Subsonic. 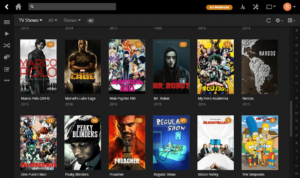 The user interface emulates the look of Plex with its dark tones. Madsonic features LDAP, Sonos, and Chromecast support. It's also available on an array of clients like Android and Amazon Fire TV. Who should use Madsonic: Music buffs benefit most from the Madsonic media streamer. 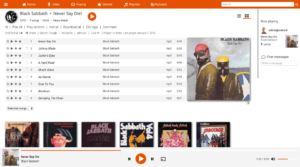 A REST API and budding open-source community make Madsonic a stellar all-around media server software with a concentration on music. All-in-one media server software happiness. OpenFLIXR is a cord-cutter's dream. 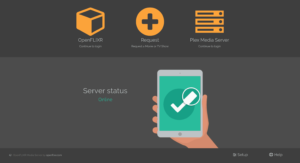 While there's a veritable trove of media server software options, OpenFLIXR takes a different approach. OpenFLIXR focuses on automation it's a true all-in-one solution. This media server softeare automatically downloads, installs, and updates select programs. You'll find features like Plex Media Server, CouchPotato, Sickrage, Sonarr, Headphones, NZBget, and qBittorrent. With OpenFLIXR, you can install and update software. Because OpenFLIXR offers an excellent out-of-the-box media streamer set up it's an excellent choice. Who should use OpenFLIXR: Anyone seeking quick, intuitive means of installing and updating software to create a media server. But OpenFLIXR itself isn't necessarily media server software. Rather, it's more a medium to install, manage, and update media server software. Notably, you'll need a virtual machine to run OpenFLIXR since it's a virtual application. TVMOBiLi dubs itself a premium home media server. You can stream your videos, music, and pictures to many Internet-enabled devices. It's available on several platforms including Windows, macOS, Linux, and UNIX-like releases like BSD. Additionally, you'll find QNAP and Synology installers, plus a Raspberry Pi version. TVMOBiLi is lightweight and integrates with common software like iTunes. However, it's a premium product. Thus, unlike many competing media server software choices, you'll have to pay. Who should use TVMOBiLi: TVMOBiLi delivers a fantastic and simple to use media streamer experience. But TVMOBiLi is not free. Yet it's compatible with loads of server and client devices. Moreover, the one-time license fee means great support. A simple multi-device streaming software option, Mediatomb. 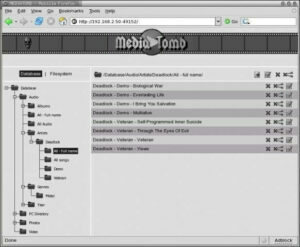 MediaTomb remains an easy to use, open-source media server software option. It's flexible and customizable. UPnP handles streaming throughout your home network. However, for external network streaming it's not as comprehensive as the likes of Emby, Plex, and Subsonic. Because it's DLNA-based, MeditTomb primarily suited to in-home viewing. Still, MediaTomb offers an intuitive set up and excellent media streamer capabilities in a lightweight package. Who should use MediaTomb: Users focused on in-home streaming should pick MediaTomb. Furthermore, if you're using UPnP-compatible devices you should use MediaTomb. For remote streaming or non-DLNA devices, you've got better options. Which media streamer you pick depends on several factors. There's the content type, device and operating system compatibility, client options, and media source. Considering their differences, you may choose multiple media server software installs. I'm using mostly Kodi and Plex, and on my HTPC I've got Plex Media Server running for a media server as well as Kodi for streaming via addons. Additionally, I use Kodi on my Raspberry Pi and the RasPlex addon to transform the Pi into a client device. While Music lovers may appreciate Subsonic and Madsonic, those focused on customization will prefer Emby. Which media server software options are you using and why? Comment below and let us know! How to Install Radarr on Docker using Kitematic GUI?